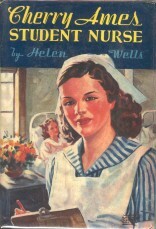 Hidden Staircase specializes in M. A. Hadley Pottery, Lang and Carol Wilson Cards & Stationery, and Great Illustrated Classics. 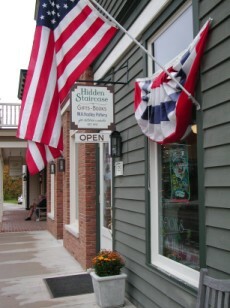 Located in historic downtown Delafield, Wisconsin, Hidden Staircase is a charming shop also offering a variety of new books, a wide assortment of collectible and out-of-print books, as well as special gift items. We invite you to discover the charm and fun of M. A. Hadley Pottery. 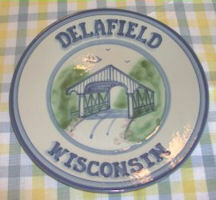 From Place Settings, Pitchers, Mugs, Cups, Jars, Bowls, or Dinnerware to Kitchen Items, M. A. Hadley Pottery has it all. There are numerous scenes and patterns that can meet the demands of any decor or style. 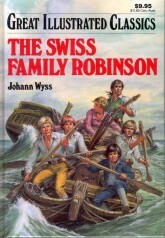 Hidden Staircase specializes in classic children's books, both new and out-of-print. Whether it is Great Illustrated Classics, Cherry Ames, Tasha Tudor, Nancy Drew, or Wizard of Oz, Hidden Staircase does its best to always have your childhood favorite on hand.